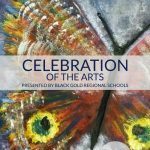 Friday, April 13, 2018 the Winspear Centre will come alive with a Celebration of the Arts featuring music, theatre, photography, film and visual arts, performed and created by outstanding student-artists, currently participating in one of several exceptional high school Arts Programs offered by Black Gold Regional Schools. Preshow 5:45 p.m. – 6:50 p.m. Performance starts at 7:00 p.m. There is a limited number of tickets available for this event. The online order form is now CLOSED. All persons, including children, require a printed ticket to be admitted into the Winspear Centre. 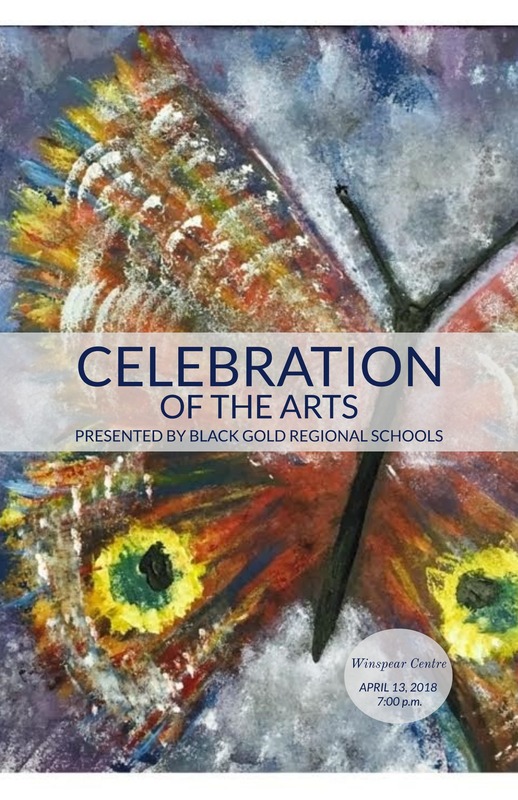 Celebration of the Arts tickets are valued at $10, however, in-lieu of selling tickets, Black Gold Regional Division No. 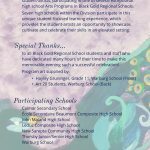 18 will be accepting donations on behalf our Black Gold Regional High School Arts Programs. Monetary donations will be gratefully accepted with ticket entry to the Celebration of the Arts at the Winspear Centre on the evening of April 13 or, alternatively, they can be accepted in person at Division Office or can be sent to: Finance Manager, Black Gold Regional Division No. 18, 3rd Floor, 1101 – 5 Street, Nisku, Alberta T9E 7N3. 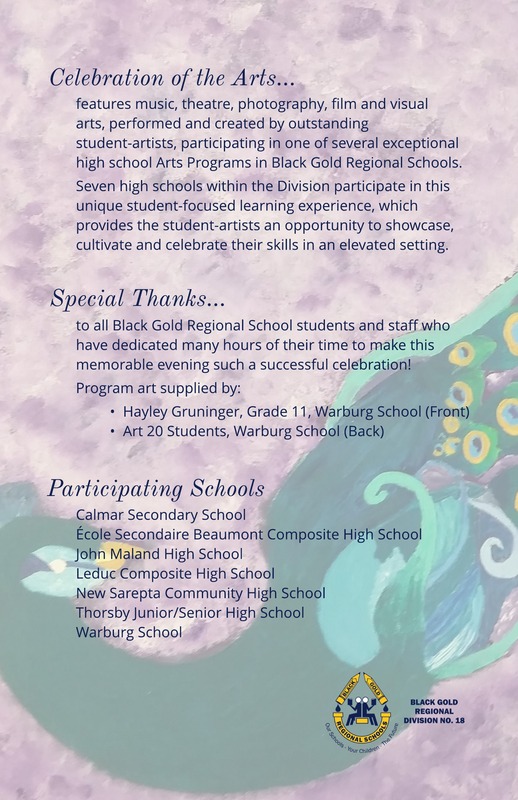 Please specifying how the donation is to be used by indicating: “Celebration of the Arts” or “Black Gold Regional High School Arts Programs”. Your pre-ordered tickets are available for pick up at your designed location between April 9 – 12, 2018. Student-artists and performers will receive their tickets from their teacher/Celebration of the Arts Coordinator. Please do not order tickets for student-artists and performers. Monday, April 9 – Friday, April 13, 2018, Black Gold Regional Schools will participate in Celebration of the Arts week by showcasing their individual music, theatre, drama, photography, film and visuals arts programs. Please stay tuned for further updates or refer to each individual school’s website for more details.